I believe that very often, searching for a clue if something can be done in Dynamics 365, you can stumble upon some Message that is not documented in Microsoft Dynamics 365 SDK, but works perfectly fine (like for example ExportToExcel message). I decided to prepare a list of all those messages, together with input and output parameters that they are using. Of course, I will not provide you the documentation – you must experiment with them by yourself. For most of them it’s really clear from their name, what functionality they provide. Remember that all these messages are not in official SDK – they are used internally by CRM, but I would think twice before I would decide to use them in some project (because of their internal nature, they can become obsolete in future releases of CRM without any notice from Microsoft, not like the messages from the offical SDK, but personally I think such scenario is highly unlikely), but some of them look like a great candidates for usage in tools or some helper code for developers. Also if you will find something really useful, please don’t hesitate to post crm idea to add such message into official SDK. Basically Input Parameters should be inserted in Parameters collection of the OrganizationRequest, and Output Parameters can be obtained from Results collection of the OrganizationResponse. Here is the promised list of all Messages. 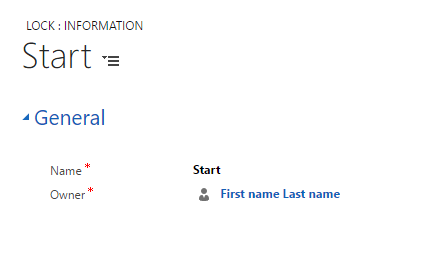 Remember that this is to be used only by experienced Dynamics 365 Developers. If you are not sure what are you doing – don’t do it. And don’t test this messages on any important environments – I would suggest to create some local instance for yourself as a playground. Having said that – have fun! 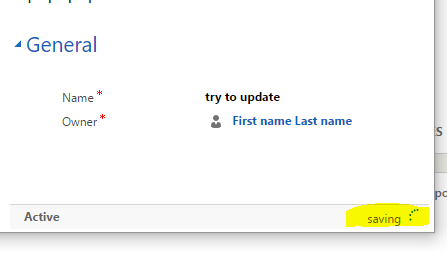 I believe that if you have ever written a CRM plugin, you are aware of the event execution pipeline (https://msdn.microsoft.com/en-us/library/gg327941.aspx) and that the operation is run in transaction which means that if there will be any exception, the whole transaction will be rolled back. Pre-operation plugins and Post-Operation plugins are also run in transaction, so if there will be an exception raised by the plugin, changes will not be reflected in CRM. This includes not only chaning attributes for the entity that the plugin is running on – create/update/delete changes on any other entities are also rolled back. This is really convenient – we can perform a bunch of operations and we are sure that even if anything goes wrong during Post-Operation, everything will be changed back to the original state. The usage of transactions can be embraced even more by using custom Actions and ExecuteTransactionRequest. Custom Actions can also be run with a rollback option (which can be enabled or disabled on Action configuration page). ExecuteTransactionRequest allows to group different OrganizationRequests and send them in bulk to the server – they will be run in single transaction. This is the principal idea of transactions – by creating a Contact we opened a transaction and “locked” the “new_lock” record by updating it. Before the transaction is finished nothing can write to this record. After 30 seconds, our contact is created and the “new_lock” is updated with the new value. Is this a value from the plugin or from what we have entered on the form? Well it’s the second option, because we updated the value after the transaction has done it (it does not matter that it waited 30 seconds after that). I prepared more detailed code for autonumbering plugin, which I have successfully used in my projects. The plugin works on Pre-Create of Account. So simply replacing service.RetrieveMultiple with RetrieveMultipleRequest causes the results to be retrieved from the database, not from some kind of cache. That is something you should probably be aware of when implementing your own solution. Recently I was caught up in the discussion about early bound entities and late bound entities. One of the argument of the “late bound supporters” was the fact, that using late-bound allows reusing the same plugin for multiple entities (so for example create a plugin that runs for all activities or a common plugin for leads/opportunities/accounts). This argument is not valid, I will show you how to write a clean code, that uses modern approach for coding and is perfectly testable. The plugin simply adds values of “new_netamount” and “new_margin” fields on the entity and sets field “new_totalsum” to a resulting value. Of course this can be simply achieved by using calculated field, but I just want to show the basic idea here, real world scenario is usually much more complicated. Now it’s much better, but there is a significant problem with this code. We assumed that our plugin runs on Account entity. What if we will register it on Contact entity? Well, it will simply crash when we will try to convert our target! Ok so now we can register the plugin on multiple entities, but our code looks even worse than the first version, because we have a lot of code that is copy-pasted. Imagine that the operation would be much more complex and would change frequently in time – we would have to change all the switch statements every time. And that’s it! This code looks much better then late bound version, provides type-checking for entity attributes and also is very nice when we implement unit tests, as we have an interface to test, not a full early-bound. If our logic is more complex we can create some additional classes that will be dependent upon IEntityWithTotalSum interface, not Account or Opportunity entity.